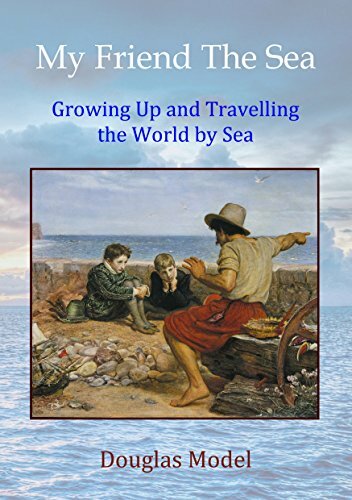 An action-packed true story about ten years of adventure, growing up and roaming the world by sea, visiting far-off lands and dealing with all manner of people. During the ten years I was a sailor, I experienced the beauty of the sea in all its moods, but had to deal with prejudice against me on account of being half Jewish. In Australia, I visited eccentric relatives, and in Japan the recently atom-bombed city of Hiroshima. On Pitcairn, I met descendants of the Mutiny on the Bounty, and in outback Fiji a chief obliged me to dance in front of a hundred natives seated in a compound and afterwards offered me a woman for the night. On a passenger ship, a lady came up to the bridge to make love to me. On another ship, the captain was so drunk at times that gin seemed to ooze from the pores of his skin. On another ship, the captain was a tyrant, who made Captain Queeg of The Caine Mutiny seem like a gentleman. My plan was to become the captain of a large ship, but after some years I had a change of heart, and inspired by my experience of the sea, decided to give it all up and become a doctor, and the story is partly about the way I accomplished that.